Ride-hailing giant Lyft has now hit a new milestone on its self-driving partnership with automobile tech company Aptiv with both firms stating of a surpass of 5,000 paid rides from passengers in the city of Las Vegas where it operates 20 vehicles serving residents around popular destinations along the Las Vegas strip. Lyft which launched in commercial self-driving service in the city earlier this year keeps a large fleet of 75 vehicles operated by Aptiv in the region with aims of adding 10 more during coming weeks as it takes on competition from the likes of Uber, Waymo, Cruise and several others in the U.S. autonomous vehicle market with the listed firms here all working towards launching their own commercial self-driving services across various regions. So far Waymo's vehicles have already driven 8 million miles on the road as it aims to gather more data to launch an autonomous ride-hailing service to ferry passengers across destinations while kicking off a quite new service across several markets. "Hitting 5,000 consumer rides is a major milestone, not just for Aptiv and Lyft, but for the entire mobility space. This is the first of its kind commercial self-driving program, and we are proud to be offering autonomous vehicles for public use today. We continue to see exponential growth in passenger rides, with nearly perfect user ratings of 4.96 out of 5 stars." reads a press release by Aptiv. 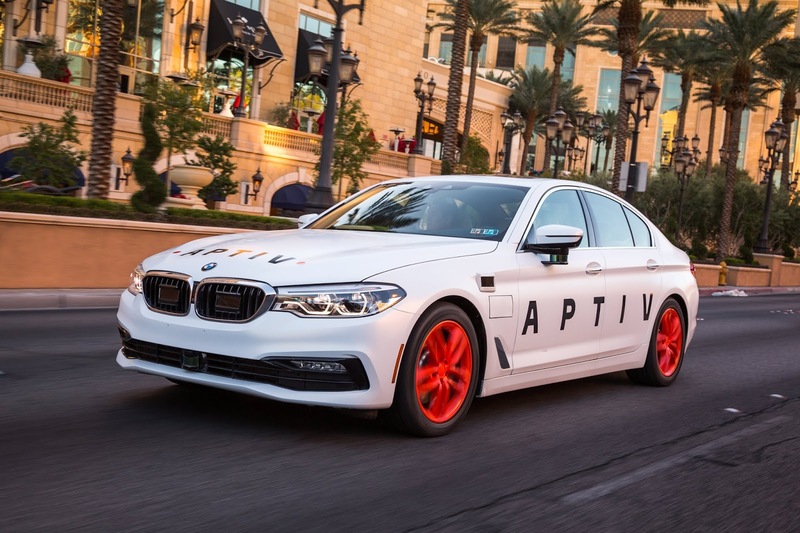 "This partnership is a true proof point that Aptiv's autonomous driving platform and its vehicles will change the world of mobility. By demonstrating the viability of our commercial self-driving product and creating better efficiency for transportation network providers, consumers will have access to safer and more accessible transit." This commercial self-driving service kicked off at this year's Consumer Electronics Show (CES) and has progressed at a very good rate with positive consumer feedback on the initiative. Passengers have been describing their rides as an amazing experience and have been impressed with how technologically advanced the car is while feeling safe and at ease. 20 percent of passengers already taking second or third self-driving rides on the service.